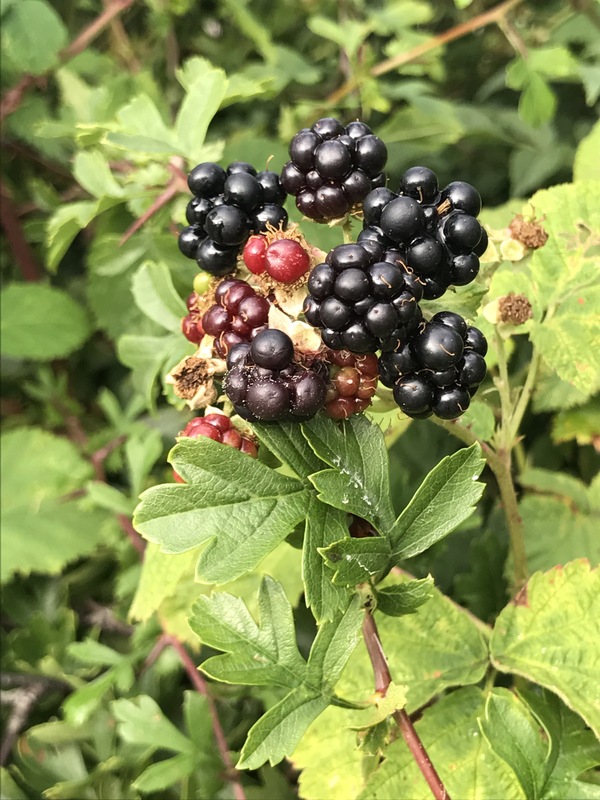 Chatting to my grandmother the other week she said that October half term used to be called Blackberry Week as that was when the wild blackberries used to be ripe and you could go foraging. Now she is from Northumberland but I wouldn’t imagine the seasons to be vastly different from where we are based in the South West. However, we started having blackberries here from about mid August. It was the same time of year last year that they began and by the first couple of weeks of September we were overrun with them. 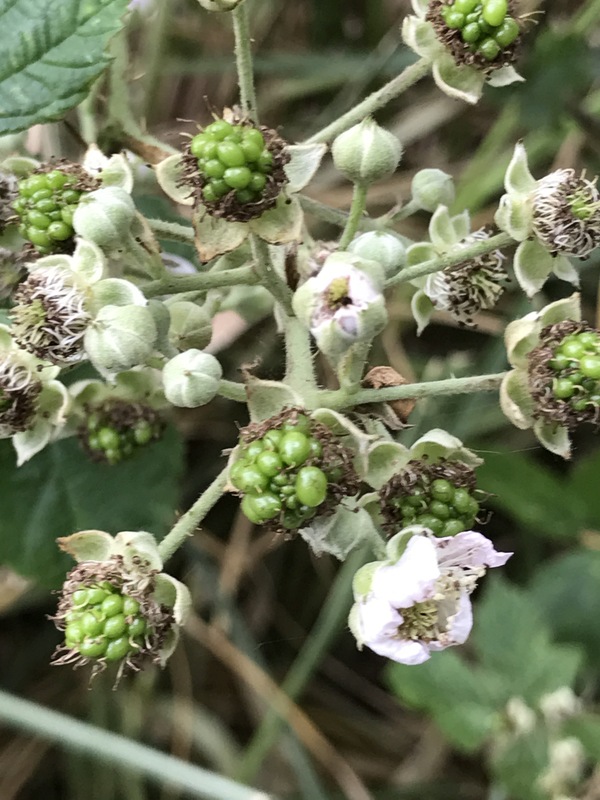 Our blackberries are all wild and are spread about the land which is nice as we get to have a good wander, but we do tend to occasionally miss a patch. Last year the field was our best blackberry hunting ground and I would end up going round it every other day and picking two to three kilograms every time. And that was only the ones we could reach as there were many more that were too high up and so we left them for the birds. We had the field hedges cut back massively in January and they haven’t really got back to full strength yet so the field hasn’t been the best harvest this year. Last year C had blackberries pretty much everyday as her snack and she has enjoyed them again as a snack this year, especially picking them and then eating them straight away. So what do we do with all those blackberries? Well aside from eating a good portion of them, I tend to freeze those not being eaten immediately to preserve that wonderful natural goodness. I am lucky to have a tray at the top of one of my freezers so I can open freeze them. What this means is that I can lay them out flat and freeze and then bag once frozen. This means that the individual berries are kept separate and so it is easy to take out a few at a time. I always try to label the bags with the prefrozen weight if I remember! What do I use these frozen berries for? Well defrosted they tend to go a bit squishy so I have tended to use them for smoothies or yogurt toppings, fruit crumbles and of course jams and chutneys (I made about 20+ jars of blackberry and apple jam last year that were amazing). This year with the hedges having been cut right back we haven’t had quite so many but C was still able to have a couple of friends over for some blackberry picking and eating and I’ve still added to my freezer collection for the winter. What do other people do with their blackberries? Does anyone else do any foraging? I love wild blackberries! My parents have a lot of different fruits and veggies in the garden and I always help myself to a few raspberries whenever I’m there. They’re just look so tempting! And also they go to waste if they aren’t eaten! They grow wild in so many places, maybe there’s some nearby to you? How lovely – we have blackberries that grow in our front garden, which I have always found odd! However, I think they are growing in from our neighbours garden – she grows all sorts! They do spread pretty quickly! So much nicer than shop bought, but then most things I’ve grown have been! I use to love Blackberry picking as a child I’ve not done so in a long time now. I definitely need to find a place locally to forage for them. It’s nice when it’s getting to Autumn and crumbles are perfect food for this time of year. We adore blackberries and it’s such a treat to go out picking and hten bring them back for a big crumble. I can’t wait to go this year.